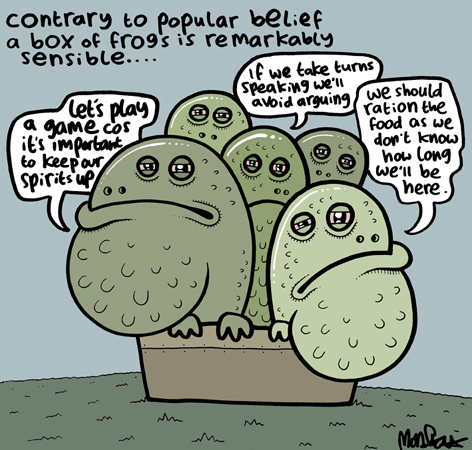 I've always wanted to know, just how mad is a box of frogs? The next poster lives in a flat. The next poster would like to do a parachute jump. The next poster eats breakfast almost every day. The next poster likes football. The next poster knows how to wire a plug. The next poster has been a member of Guiding, Scouting, or cadets at some point in their lives. The next poster drives a manual car. The next poster likes black pudding. False. I'm too much of a coward! The next poster knows the second verse of the National Anthem. True, I remember it from Brownies. The next poster understands algebra.